Your Goal: Convince other French speakers to travel to the country that you just visited by creating a Travel Advertisement in iMovie that shows where the country is, what is unique about the culture of the people who live there and what a tourist could do and see. You must be convincing! Search for images using Creative Commons and save them to your Camera Roll. Determine which props you wish to use for your videos and prepare your script. 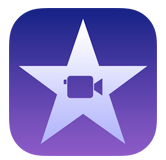 Use iMovie to make final edits to your movie. Export final movie to your camera roll.